Below you can find several free tools. TheWebMiner Filter it's an important tool for market research. Basically it's like a search engine with a higher focus on filtering not on sorting. You can start a market research right now. Extract structured data by sample. This is a magic tool which learns from you and gives you back desired data in a beautiful format. Go! This is a Google Chrome extension which generates sitemap.xml for your website. All you need to do is click "Generate!" button in extension window and wait until a Save As dialog appears. Convert regex to Vim expressions. 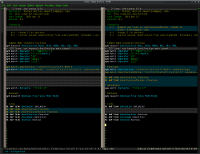 If you want to use Regex in Vim, this is a perfect tool. Go! If you want know when a price of a specific product is changing at a specific online store, this is what you need. These tools are in an experimental stage and are provided “as is”. TheWebMiner assumes no responsibility as to damages caused by their use.